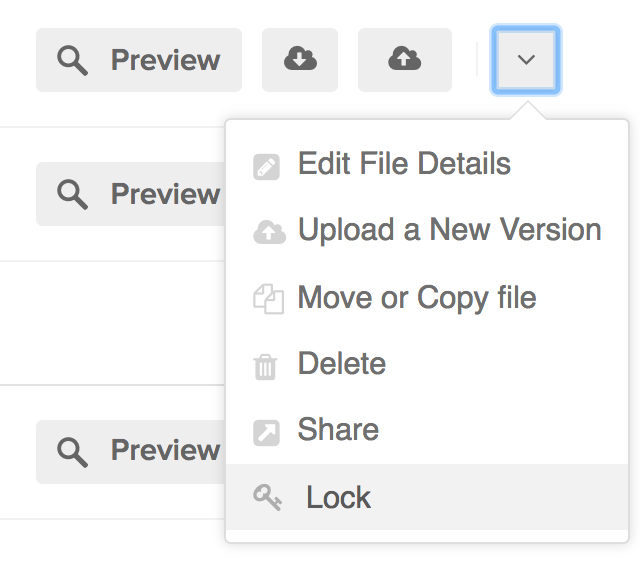 Within Teamwork Projects you may sometimes need to lock a file that has been added to prevent other users from editing it. Note: Only site owners/administrators or project administrators can lock a file. To do this you must first navigate to the file section of the project. You will then see a list of the files that have been added to this project. Select the drop down arrow to the right of the file you wish to lock and choose the Lock option. Alternatively, you can click into the file itself and then choose the option button (three dots) to the top right of the page and then lock the file. If a file has been locked and you wish to unlock it you can choose the blue Unlock option to the right of the file name if viewing all files. If you are viewing the file then you will see the blue unlock option beneath the file name near the center of the screen. 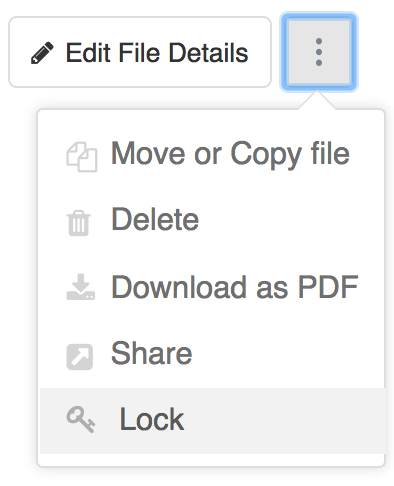 Note: As with locking a file, only site owners/administrators or project administrators can unlock a file for editing.